In May 2000, Joel Smith is a cocky, adventurous young man who sees the world as his playground. But when the college senior, days from graduation, enters an abandoned Montana mine, he discovers the price of reckless curiosity. He emerges in May 1941 with a cell phone he can't use, money he can't spend, and little but his wits to guide his way. Stuck in the age of swing dancing and a peacetime draft, Joel begins a new life as the nation drifts toward war. With the help of his 21-year-old trailblazing grandmother and her friends, he finds his place in a world he knew only from movies and books. But when an opportunity comes to return to the present, Joel must decide whether to leave his new love in the past or choose a course that will alter their lives forever. 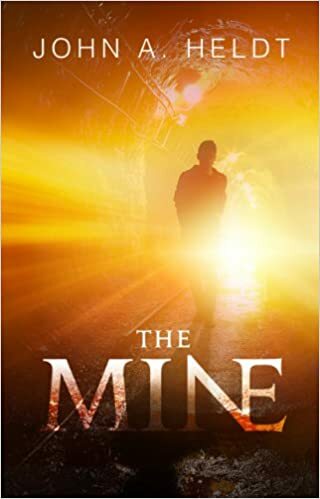 THE MINE is a love story that follows a humbled man through a critical time in history as he adjusts to new surroundings and wrestles with the knowledge of things to come. In Helena Montana Joel and Adam take a detour from their trip. Exploring an abandoned mine. Joel just wants to pop in for a few minutes to take a peek. The possibility of stepping into the year 1941 by just exiting a mine, threw me off. I was not expecting this turn of events. Joel's sense of adventure leaves him having to make due without the modern conveniences of the 20th century. He is the 1941 town's mystery man in strange clothing with no past. The setting makes me want to grab a root beer float, and put a dime in the jukebox. The book is a classic love story of man falls for unavailable woman. Imagine the fun in being sent in the past, knowing future events. Modern miracles, or not. The past and present always have a way of catching up with a person. Joel faces hardship and regret. Some things must be sacrificed for the good of others. This is a wholesome read. Great story line. I almost believe for a minute portholes may exist. I give this book four stars. Great imagination and detail.